To Jews and Christians Jacob's ladder is just as familiar as Buddha's sky ladder is to Buddhists. Could they be images of electrical phenomena? The mythological symbol of a ladder extending from Earth to heaven appeared in a dream to Jacob, son of Isaac, at Beth-El. The icon of a cosmic stairway on which angels move up and down between the earth below and Yahweh at the top is recorded in the Hebrew bible. The same imagery is found in Buddhist literature and is presented as the Great Sage at his final coming, descending once more to the earth. Within the major world religions, the image of the sky ladder is little more than a vestige of a motif that played a far more prominent role in ancient cosmologies worldwide. In ancient writings and arts, the major gods and goddesses of early pantheons are frequently seen to employ such cosmic ladders in the course of their mythical careers. Shamash and Nergal, the sun god and the war god of ancient Babylonia, traveled from the underworld to the sky on a cosmic stairway; Quetzalcoatl, the feathered serpent of Aztec tradition, reputedly came down from the highest heaven by means of a ladder; and visionaries and shamans resort to a similar sky ladder on their cosmic peregrinations. Repeatedly, traditional cosmological systems testify to a conspicuous ladder or stairway that used to connect heaven and earth in the distant past age of the gods. While the catastrophic disruption of this umbilical life-line does not allow "modern" people to see it for themselves anymore, mystics and medicine men continue to claim the ability to visualize and transcend this column. 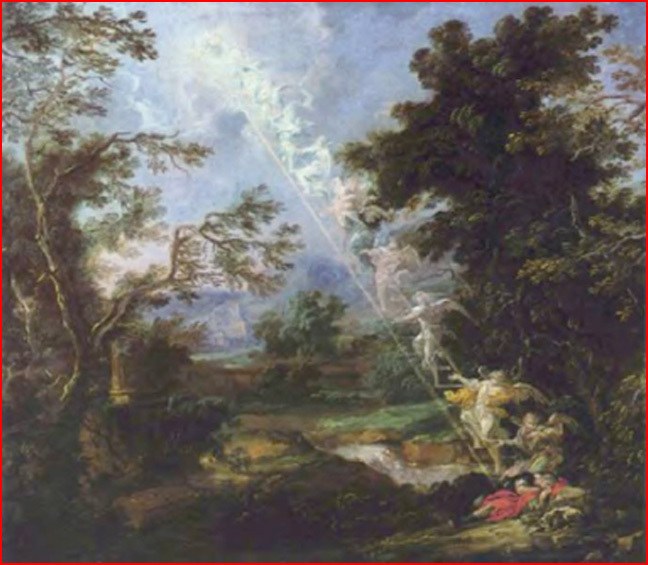 The ladder to heaven, traversed by deities and legendary heroes; or the disembodied souls of the dead and the enlightened souls of the living, has always served as a prime example of what mythologists call the axis mundi. But at no time has this ingrained trait of world mythology made so much sense to a group of scientists as in the past decade. 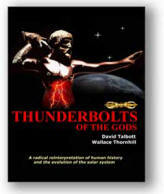 The realization that virtually all cross-cultural properties of the cosmic axis are explicable as descriptions of an unprecedented auroral storm that must have hit the Earth during the transition from the Paleolithic to the Neolithic era, has been revealed through an analysis of "geometric" petroglyphs. At that time, the stream of charged particles impinging on the earth's magnetosphere precipitated the formation of a giant collimated plasma tube, called a z-pinch by plasma physicists, which glowed with such intensity that contemporary human eye-witnesses long after continued to describe it as a radiant, lightning-like gateway to heaven.